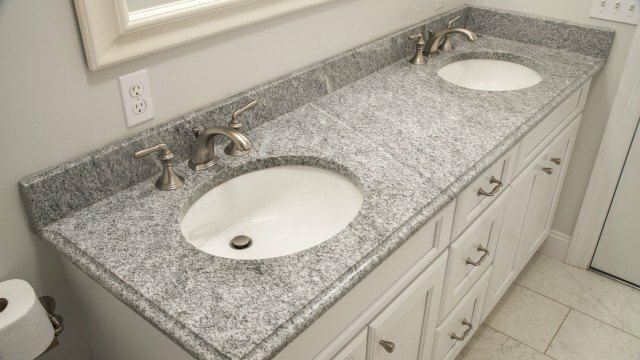 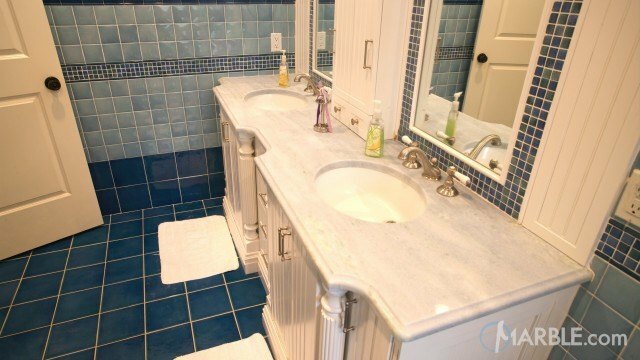 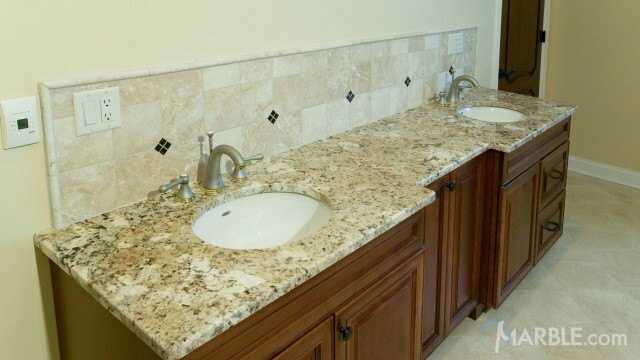 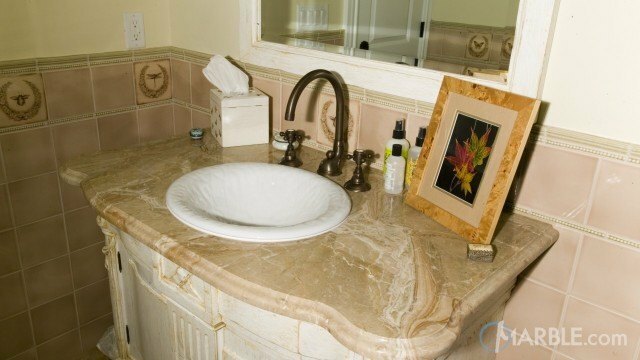 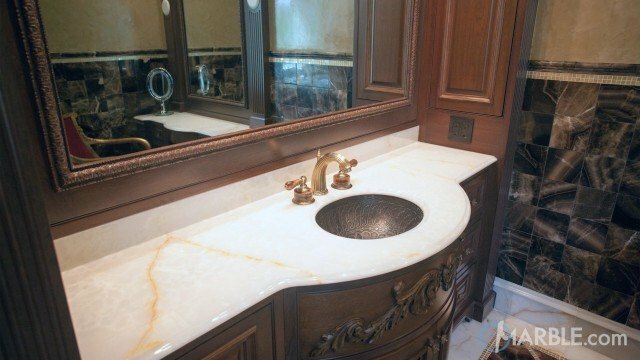 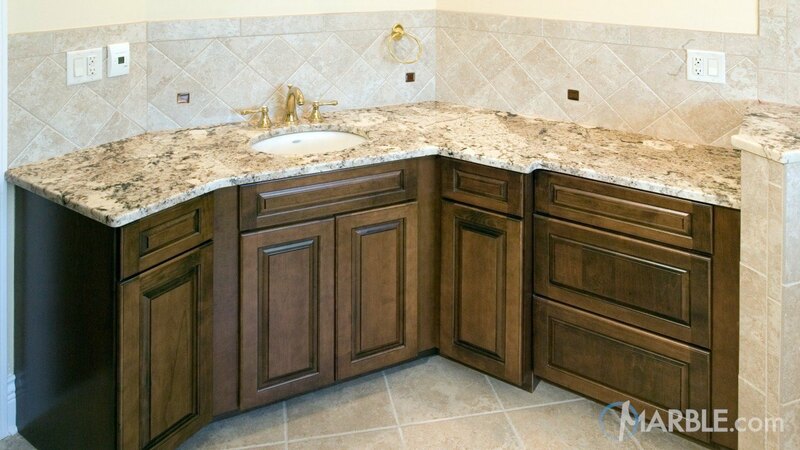 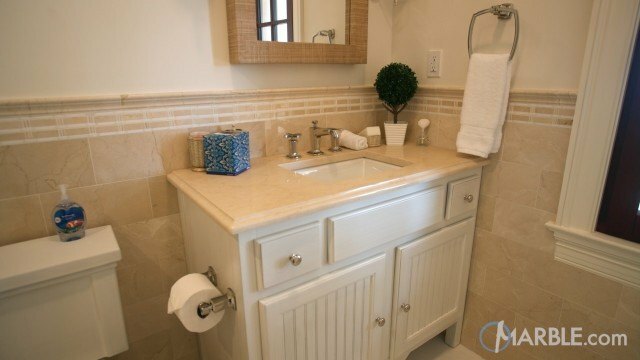 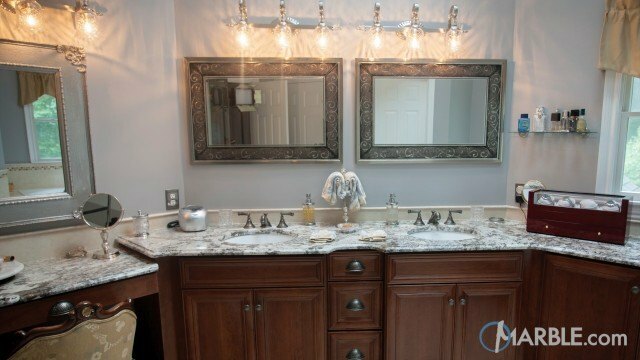 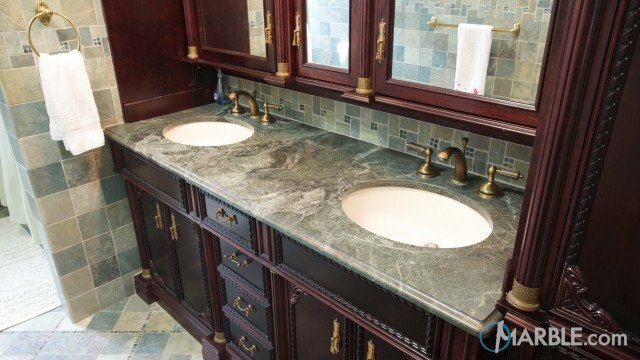 White Torroncino granite is featured prominently throughout this luxurious bathroom. 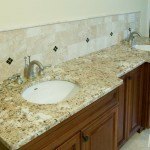 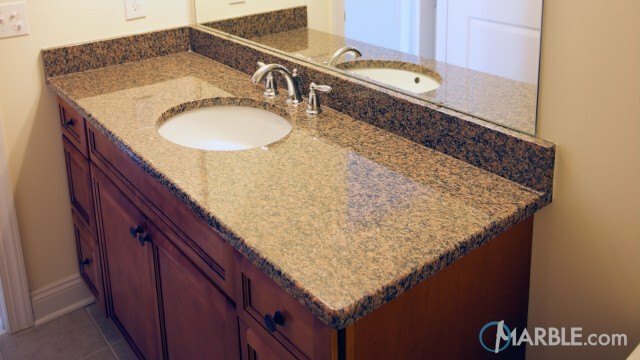 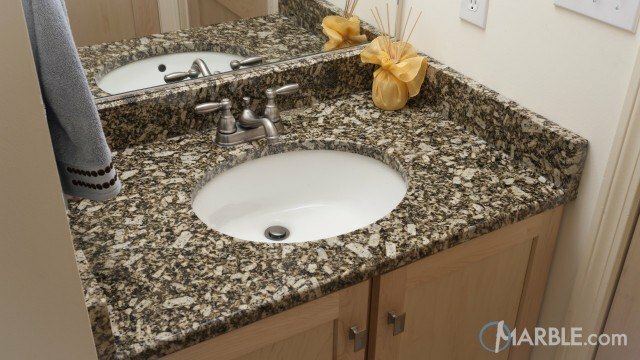 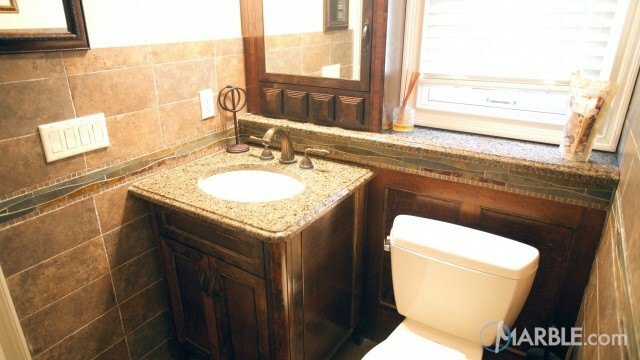 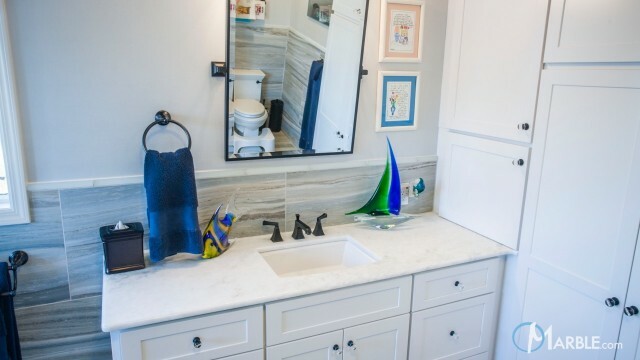 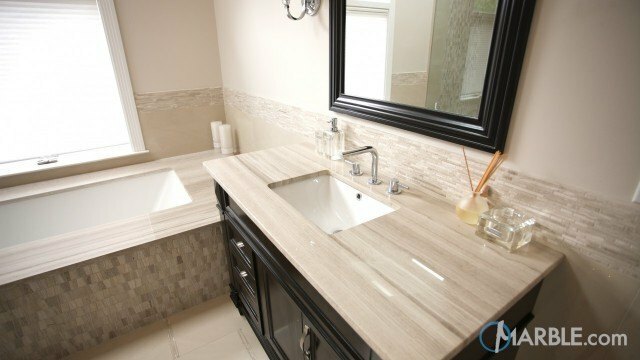 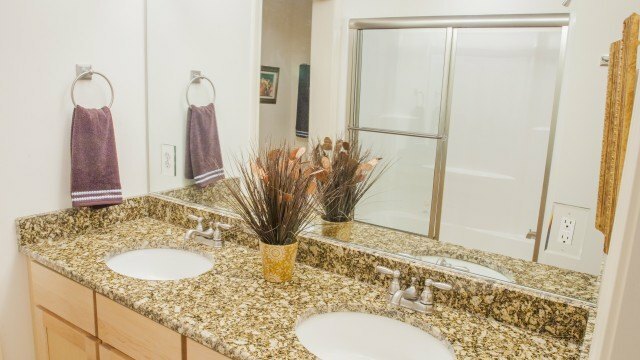 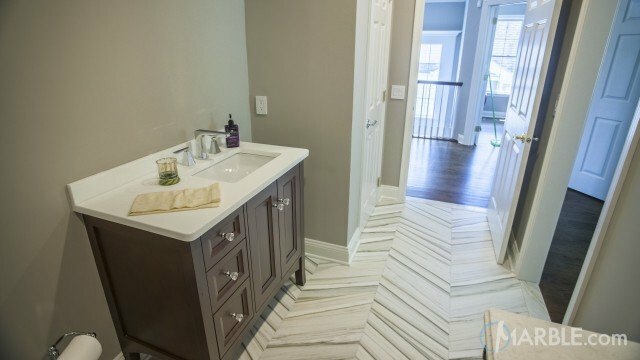 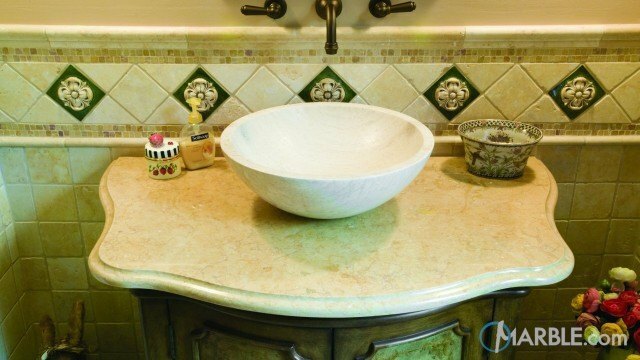 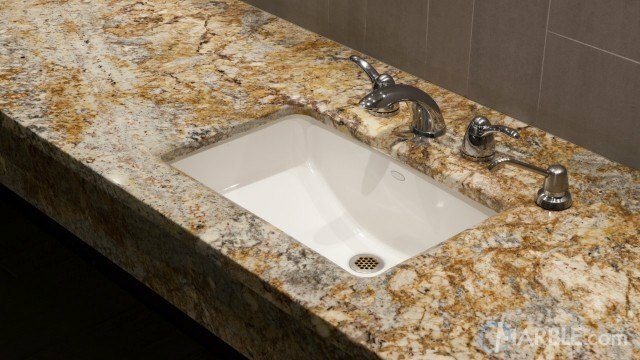 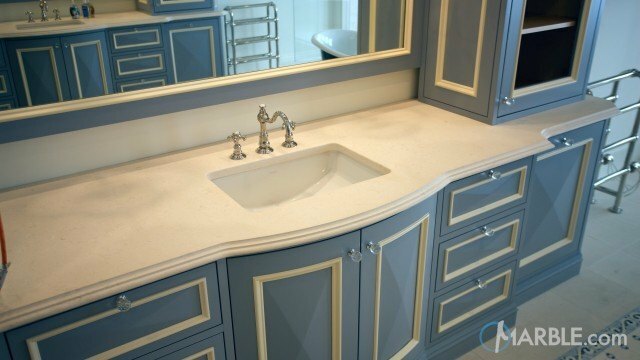 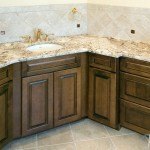 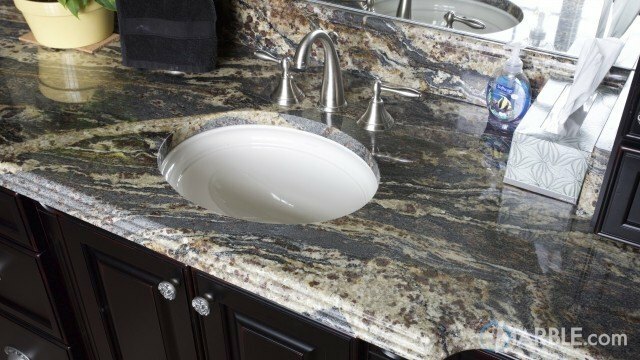 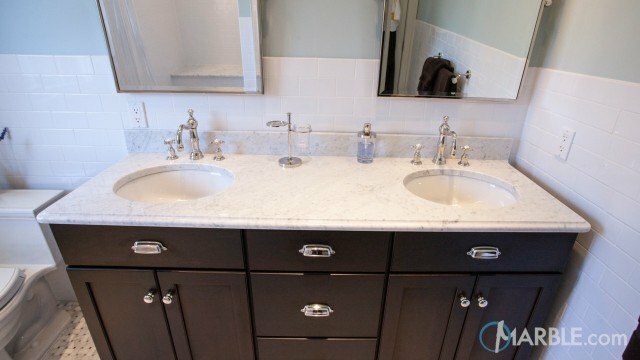 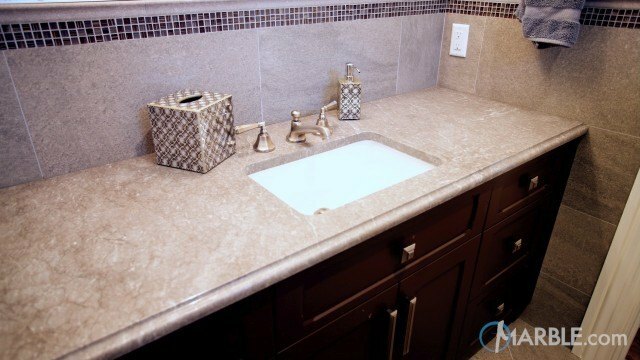 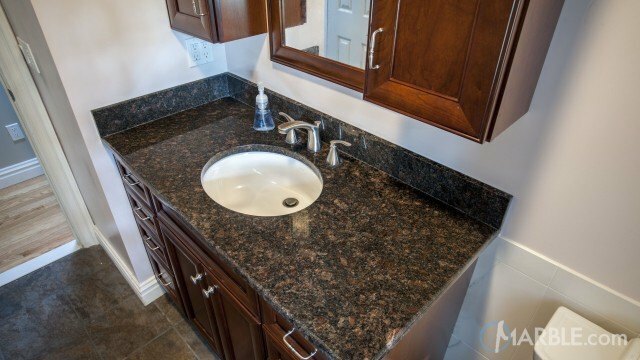 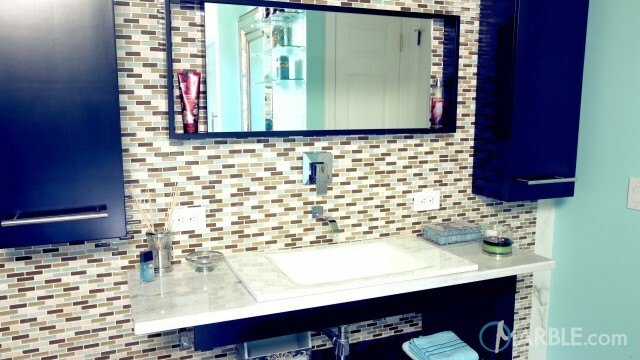 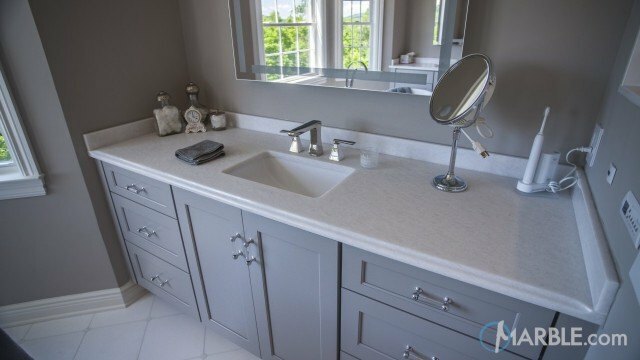 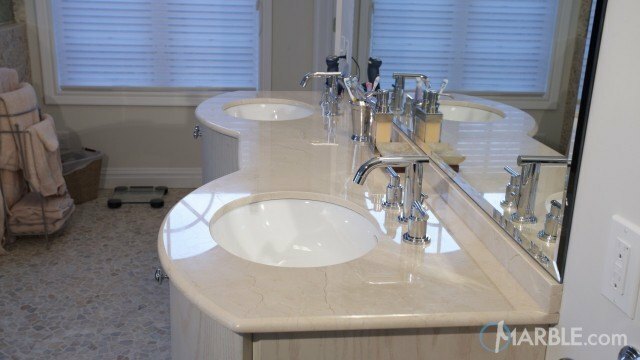 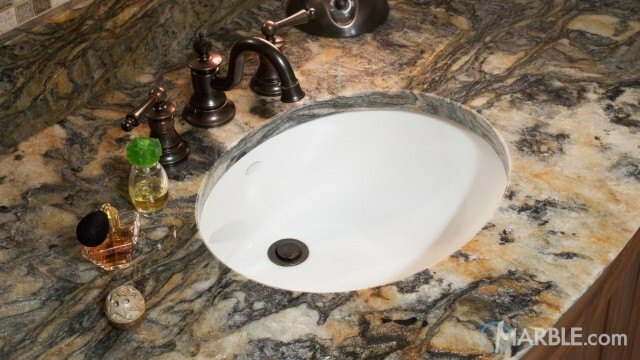 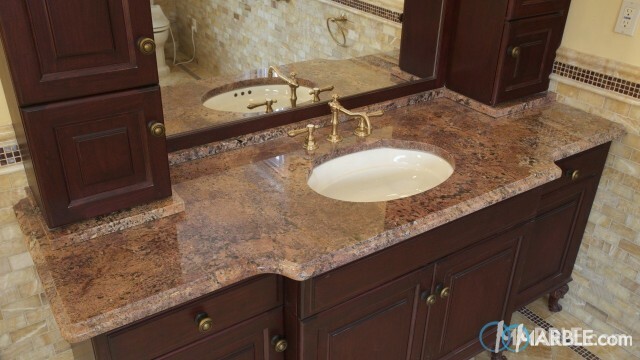 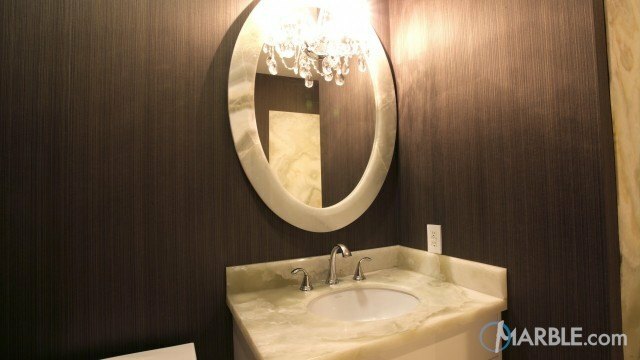 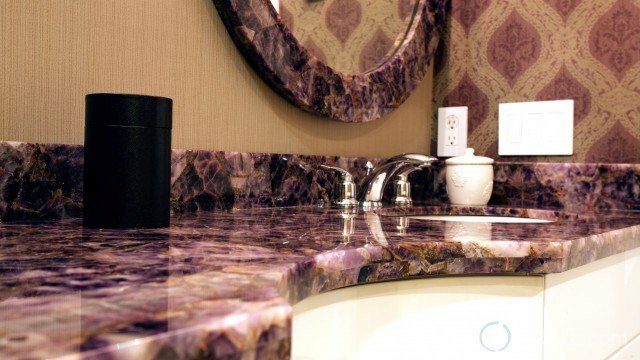 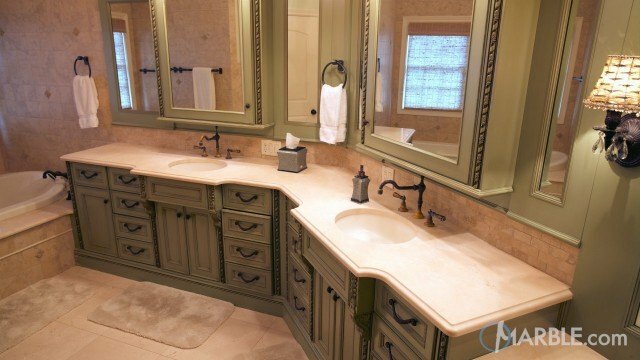 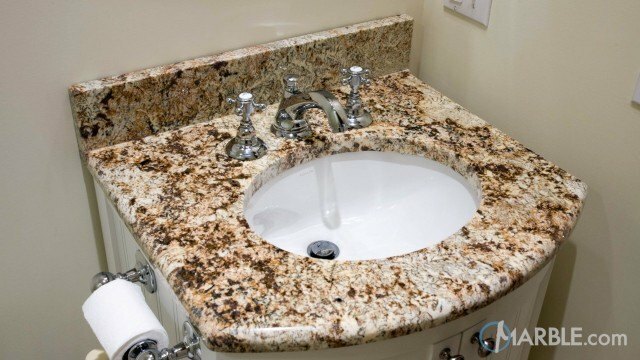 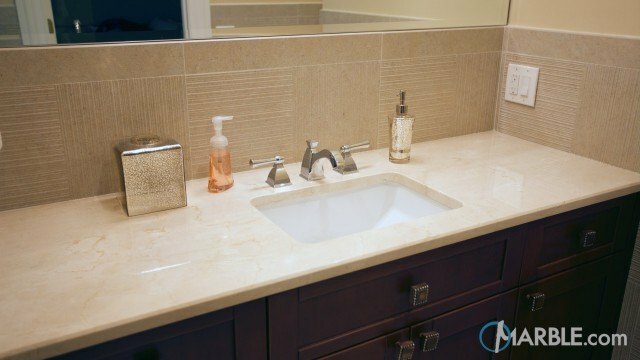 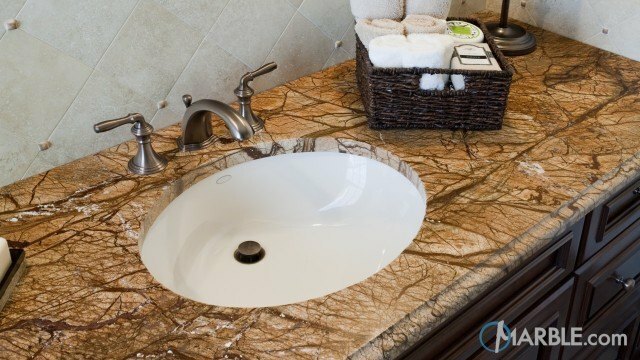 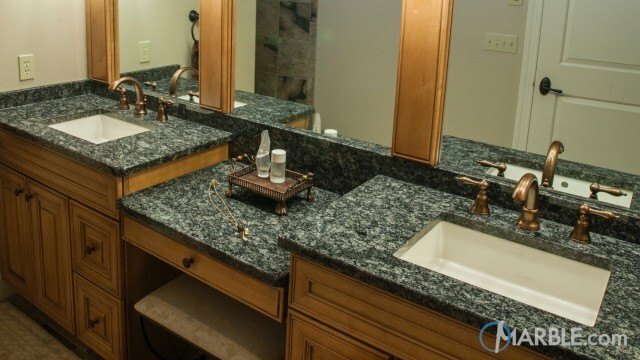 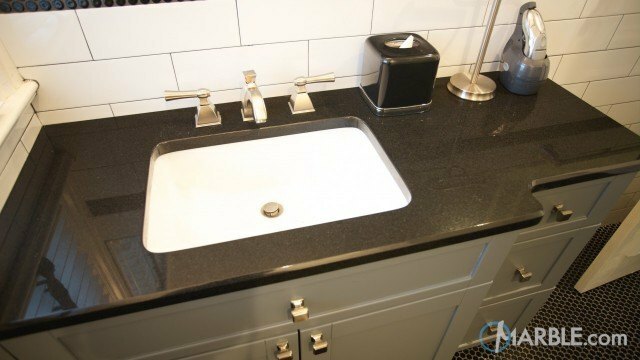 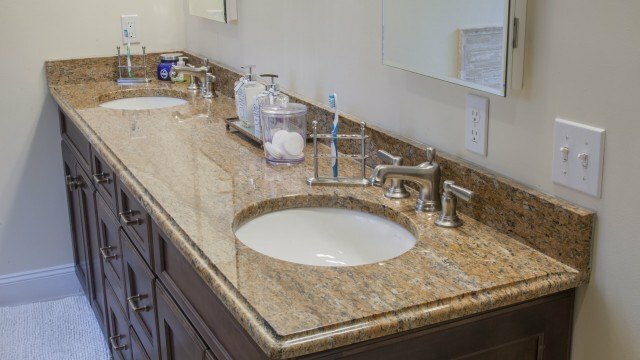 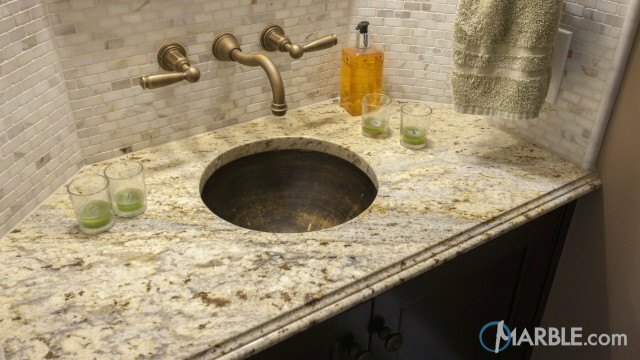 The stone is expertly cut to fit around the unique edges of the vanity top and additional pieces are used around the shower as ledges and even a bench seat. 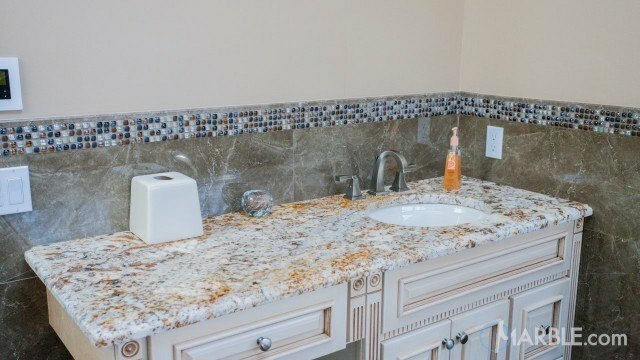 Light tiles through the room balance the black, beige and white speckles in the granite and a stone accent in the shower perfectly matches the granite. 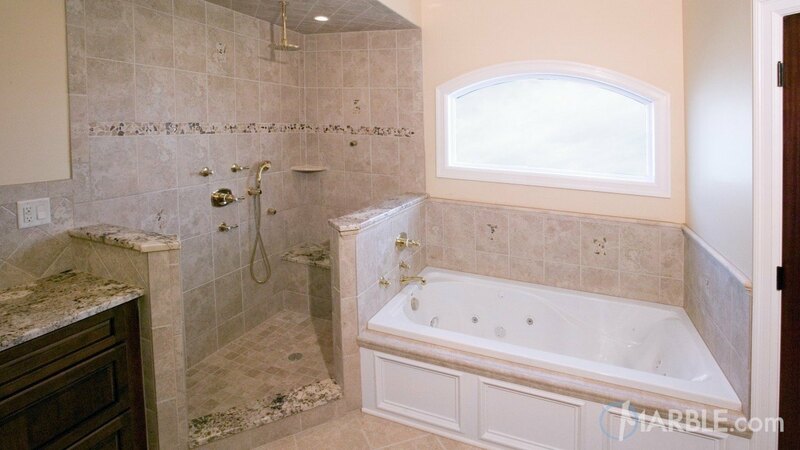 A large window keeps the room bright and invites relaxation in the large Jacuzzi tub.